The Volatinsky Trio play original world music laced with the flavours of Russia and the Balkans on an exotic combination of instruments: cimbalom, cello, domra and guitar. Lucy Voronov, from Belarus, graduated from Minsk Conservatorium. She plays the cimbalom (tsimbali), an instrument of the dulcimer family traditionally associated with Gypsy musicians, with 76 strings that are struck with wooden hammers. The winner of Folk Instrument Competitions such as Russia’s Kubok Severa, Lucy is one of the world’s leading exponents of cimbalom. Guitarist and domra (Russian mandolin) player Stephen Lalor furthered his study of plucked string instruments at the Tchaikovsky Conservatorium Kiev. He has performed at Australia’s major Festivals with a variety of artists, and overseas at festivals including the Montreux Jazz Festival, Euro 2010 & Bulgakov Museum Festival (Moscow) 2011. 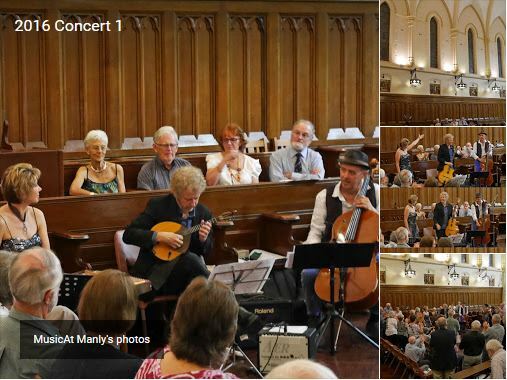 He has for many years been Guest Principal Mandolin soloist with the Sydney Symphony, Australian Opera and Ballet Orchestra, Hong Kong Philharmonic, Singapore Symphony & Malaysian Philharmonic Orchestras. Stephen composes most of the Volatinsky Trio’s music. Cellist Anatoli Torjinski is from Odessa. Combining a classical level of cello technique with brilliant jazz/world-style improvisations, Anatoli is one of the most in-demand players on the Sydney world music scene, and an ARIA world music award winner.